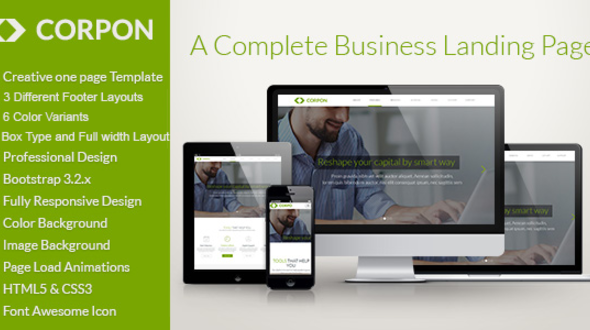 Corpon is Responsive HTML business landing page for your business to attract new customers thus grows your business . Corpon has very clean, elegant ,flexible and modern design. Corpon not only made to use in business category in mind, it can be used in corporate, business and portfolio type website and it is very easy to customize so it can be used in many categories of website. For any Query or problem or to know more about CORPON theme or just want to say hi, please feel free to contact us on support@theme-league.com. We love to hear from you.